A fascinating series of reds delights in this starkly simple mid-century Moroccan carpet. 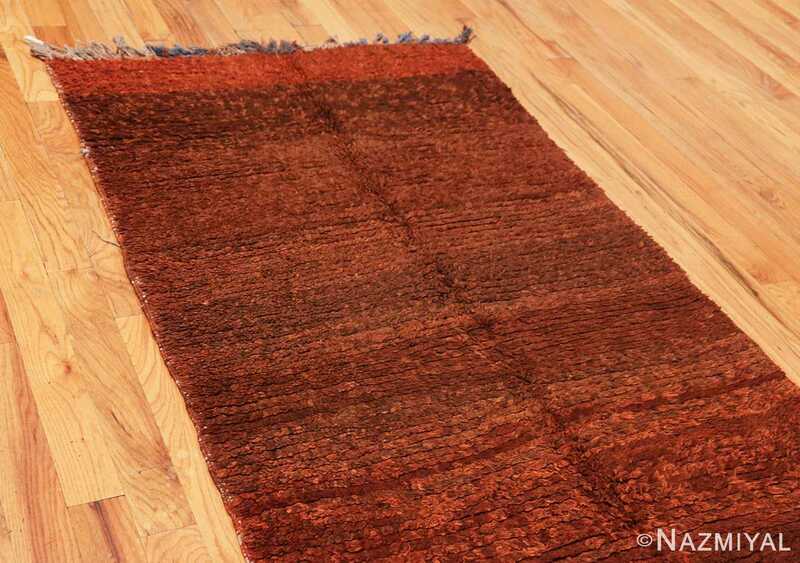 Vintage Moroccan Berber Runner Rug, Country of Origin: Morocco, Circa Date: Mid-20th Century – This Moroccan Berber runner rug features a beautiful and straightforward design of gently contrasting tones. Brilliantly understated, this vintage Moroccan Berber carpet is an intriguing example of the power of minimalist design – for despite its non-embellished field, this Moroccan Berber runner rug possesses a dynamic energy. 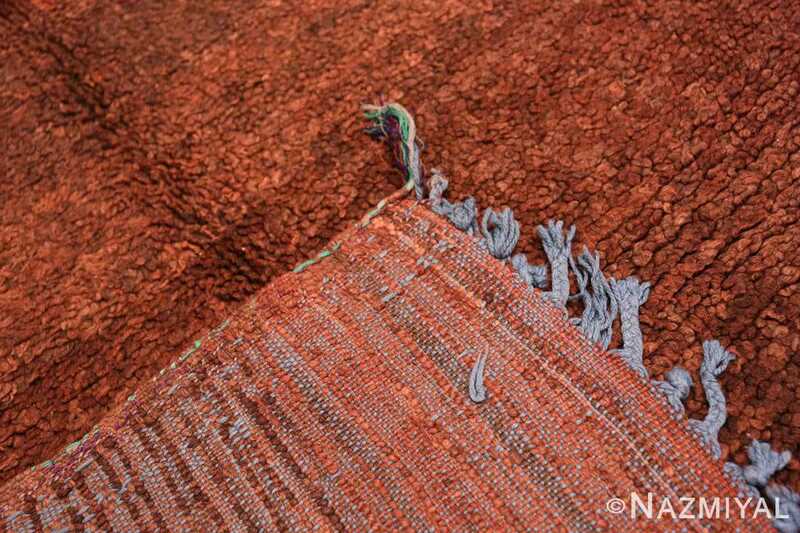 With irregular bands of various shades of reds and red-browns appearing at seemingly random intervals, this carpet offers surprises and delights as the eye travels over it, all without distracting with any sort of decoration. Tremendously versatile, an authentic mid-century Moroccan runner such as this pleasing example suit an incredible range of interiors, from more classically composed spaces, to more mid-century modern geared interiors. 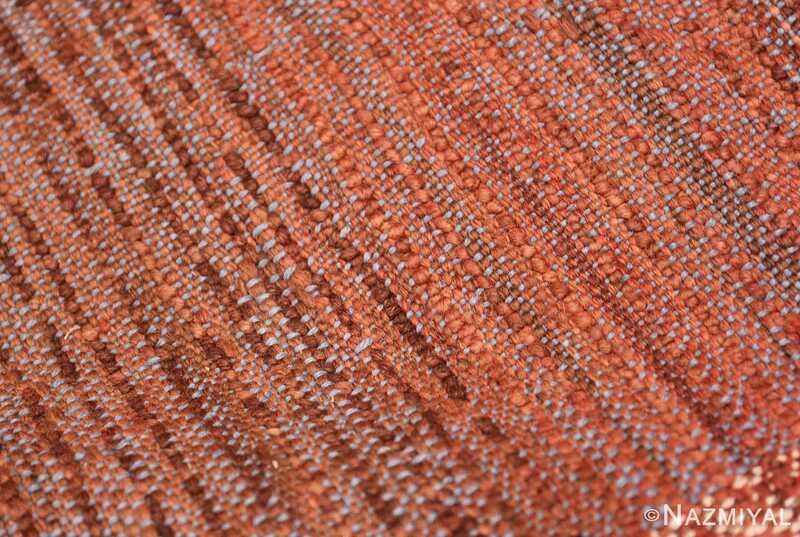 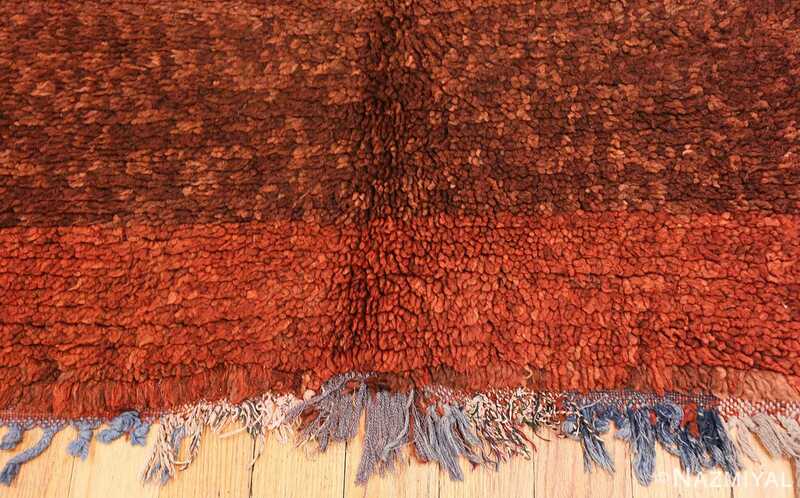 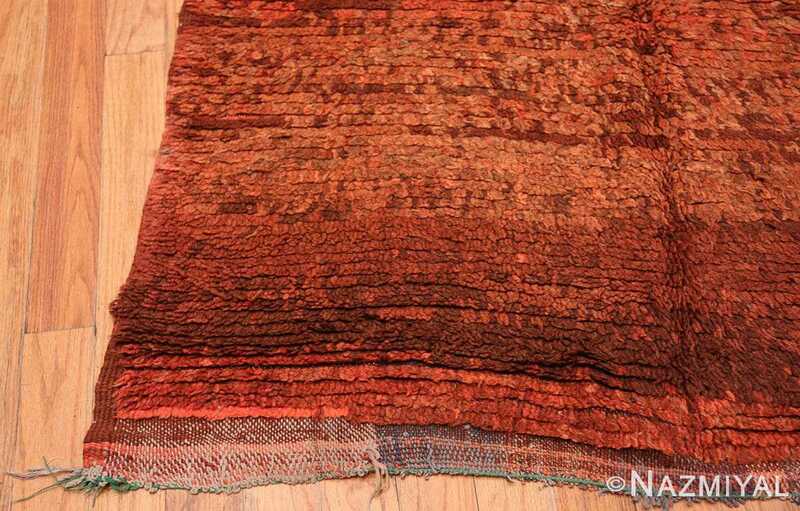 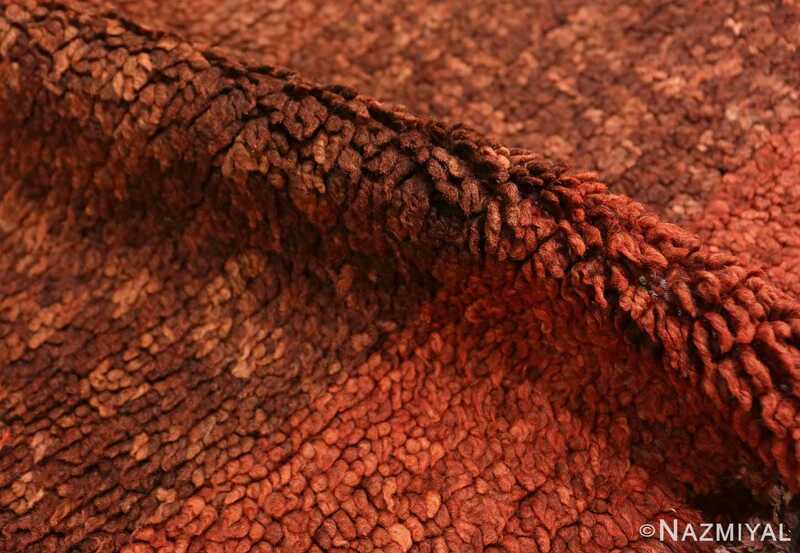 A fascinating series of reds delights in this starkly simple mid-century Moroccan runner rug. 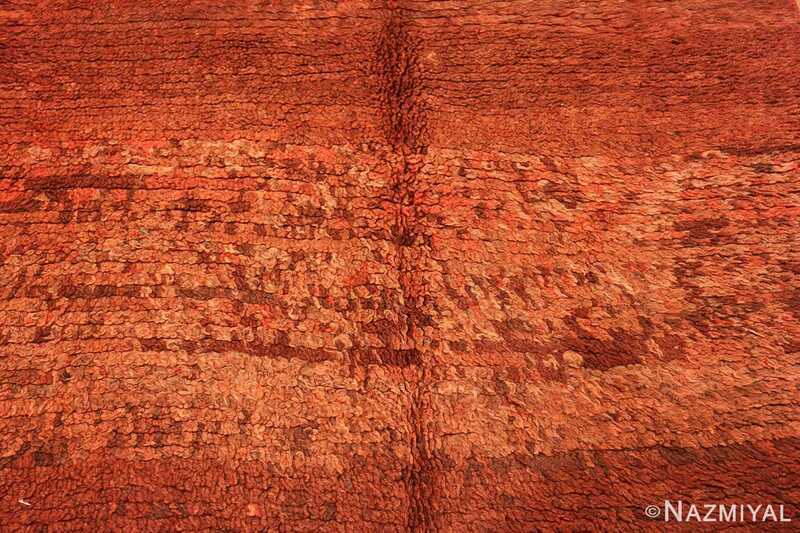 This Moroccan kilim exemplifies the precision, versatility and beauty of traditional flat-woven construction techniques that create intricate patterns and symbols. Delightfully unique and excitingly modern, this vintage Moroccan carpet is an exciting example of an enduringly appealing style.